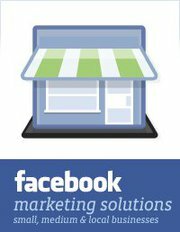 Facebook‘s IPO is today and the topic of advertising revenue is at the heart of the value proposition. With an opening price of $38.00, will it go up or down? Take a look at the article from Co.Create on The 5 All-Time Best Facebook Campaigns. What can you learn from these campaigns that will help your organization? “In a dramatic bit of timing, GM announced it was pulling its $10 million in Facebook advertising mere days before the latter company’s IPO.